It is clear that digital transformation is one of the great management challenges of the coming years. 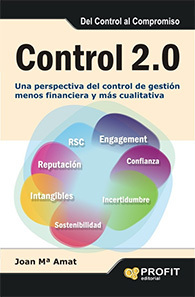 Its impact is profound and generates changes in business models and critical business processes, greater interaction with the external customer and, as a consequence, requires new styles of leadership and organizational culture. I share below 10 ideas that confront some existing “myths” and can help to face it with more success. 1. Technology is the key element of digital transformation. Real digital companies have already realized that, beyond the important technical part and the resources to dedicate, the people and the organizational structure and culture are the differential elements to set this transformation successfully. New skills, new roles, a culture of openness to change and permanent external exploration are examples of key elements of its strategic agenda. 2. Top Management will be the fundamental group for its successful implementation. As in any strategic initiative internal sponsorship is required, but not in all companies is the Senior Management group the ones with the greatest vision, knowledge and traction in this area. Therefore, valuable bottom-to-up initiatives of supervisors, middle managers or employees emerge as a key complement to their implementation and consolidation. One example is the reverse mentoring already implemented in some companies and where millennials train managers on digitalization and social networks. 3. Digitization is more related to new business models and technologies than to changes in leadership. Digitization increases the power of a customer every day, because is more informed and live in a multichannel mode. This fact facilitates the entry of competitors in many sectors and hinders strategic anticipation by the presence of multiple technologies. It is no longer possible for a few managers to successfully lead and make the most decisions. The brutal and accelerated disruption of many business models requires the entire workforce with an entrepreneur mentality to seek opportunities from each of their roles. For this, a leadership that inspires and accompanies this collective change of approach is a must. 4. Digitization involves (mainly) new processes and relationships with external customers. Peter Drucker said “culture eats the strategy for breakfast”. And there is more and more business evidence that having a good employee experience is the basis for getting an excellent and profitable customer experience. Therefore, before modifying the processes we have to focus on good management of our team’s change. Maintain the positive essence that led us here, evolve the mentality to remain competitive and with the involvement of employees to be more solid and sustainable. 5. Digitization is mainly a strategic and technological project. The success of digitization is not limited to the management of a complex technological project. To a greater or lesser extent, according to the company characteristics, it will imply changes in the organizational structure and culture, with new work models, and with the appearance and elimination of jobs in some cases. Including new ways of interacting with employees, customers and other stakeholders. It is important to put more efforts from the beginning on these more transformative aspects and beyond the necessary technological changes. 6. It is not so important for industrial or business to business (B2B) companies. It is more oriented to start-ups or service companies (B2C). There are already many examples of large companies (eg General Electric) and companies in industrial sectors (eg the automobile) with excellent strategies underway for digital transformation and that have already realized the great opportunity that is open for the winners in this revolution. 7. It is enough to convince and involve a small percentage of the organization. Experts have shown that only 10% of the workforce is required to dynamize a change from the beginning: a group of internal “influencers” with credibility and at diverse levels and areas. However, in order to have a strategic and irreversible impact, all departments and a large majority of employees need to be enthusiastic about this in the medium term. And for this, a good mix of intelligence, honesty and resilience will be needed to overcome the difficulties that are expected to come. 8. Digitization is a world of opportunities for all. The great opportunities for prosperity and professional growth are exciting. As an example there are many good start-ups that are growing exponentially taking advantage of this positive dynamic. And at the same time it is generating “labor polarization” with numerous cases of companies and employees that have not been able to reinvent themselves yet and are suffering when relocating to the market. This is an aspect to take into account for its possible impact on social inequality and unemployment. 9. The winners of the digital transformation will be those that best adapt in each sector. Entry barriers are blurred in many sectors and the competitive war is extended to the new that enter with so much eagerness, experience and different talents, less inertia and, sometimes, with greater resources or more agility for taking decisions. A big challenge for consolidated companies that want to remain relevant in their sector requiring a broad vision, anticipation, to change the status quo, humility and to recognize that success is the past do not guarantee the future. 10. In the digital transformation it is possible to obtain relevant results in the short term. Digitization requires a sense of urgency and, at the same time, it is not usually easy to obtain great tangible results in a few months as in any complex transformation. Building a good internal and external story, keep the focus, despite foreseeable ups and downs, gaining support, sharing leadership, resilience and having some luck will be key factors to achieve significant progress in the medium term. 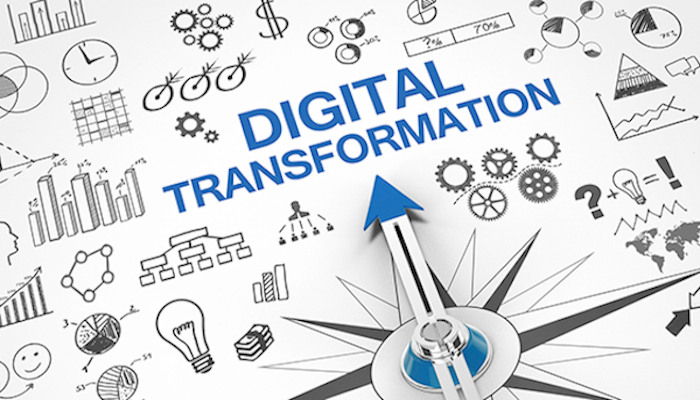 What can you do to digitally transform your company? Digitization is unstoppable and affects all industries and the three sectors (companies, administrations and the third sector). It is also a revolution that shakes the historical ranking of companies and industries. Citizens are often more advanced than companies in the use of technological advances and new forms of relationship. And in this complex environment is where leadership returns to be key, with a renovated style that exceeds the traditional hierarchical. More focused on facilitating, asking, empowering, challenging, generating a shared vision and being enthusiastic about leaving a legacy and building something big through multi-generational and increasingly diverse teams. We must move quickly since this has only just begun as confirmed by the leading experts. Since we can not put doors to the forest, let’s take advantage of the great opportunities it generates to compete successfully in this global and constantly changing world. We play business competitiveness and employability: the welfare of the present and future expectations.